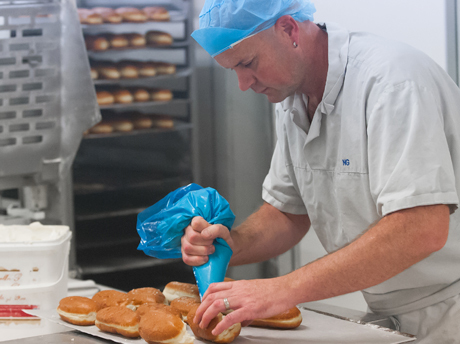 We’ve been baking fresh produce since 1946 and apart from technology advancements to help make the process quicker, we’ve kept the same honest values of delivering quality, freshness and service. 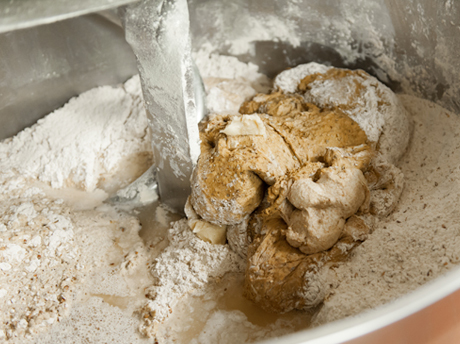 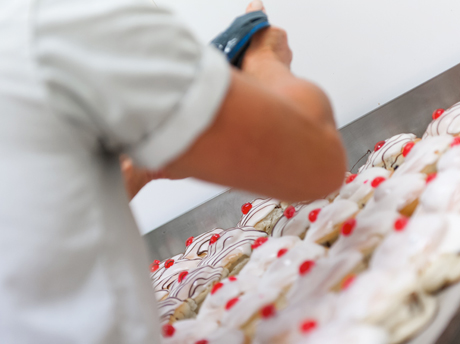 what our baking team do behind the scenes. 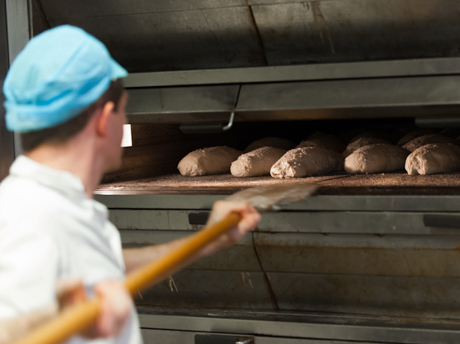 Our team are working most days from 3am, ensuring we can get freshly baked items to each of our shops before they open. 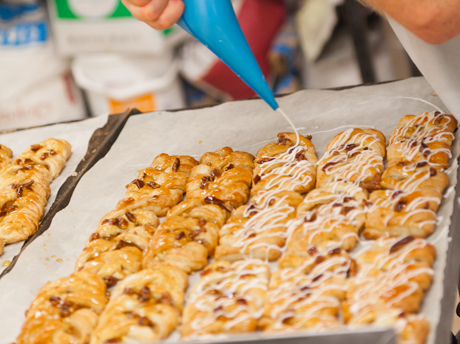 Whether bread, tarts or apple turnovers, each product is made every morning at our bakery on Canvey Island and delivered to all of our 12 shops. 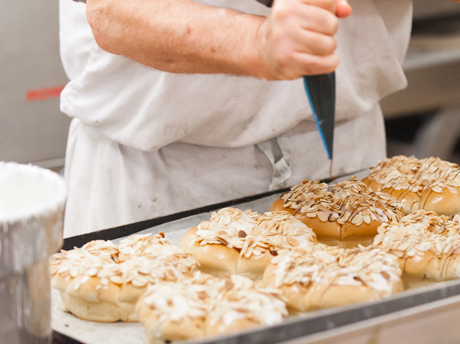 We try to source all our ingredients locally. 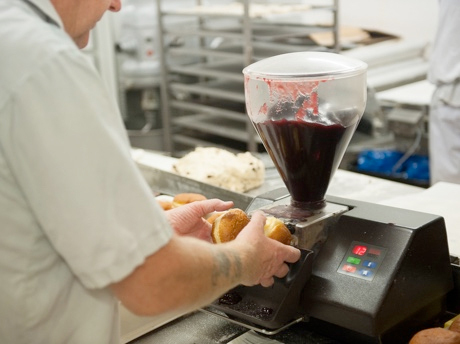 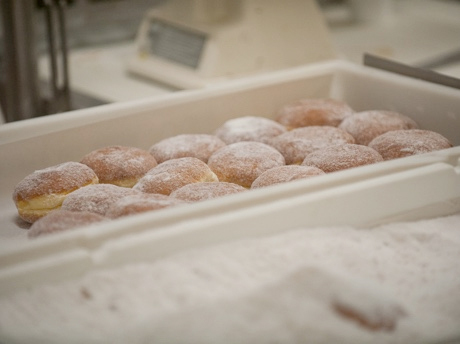 Our flour is milled locally and the jam in our doughnuts is from Tiptree’s Wilkin & Sons. 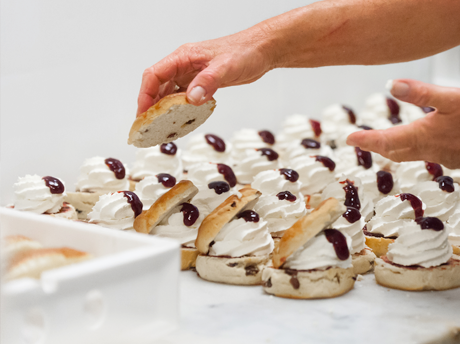 Our team hand cream & ice every item from chocolate eclairs, belgian buns and other yummy goods. 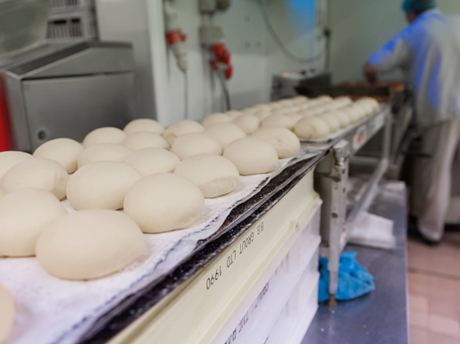 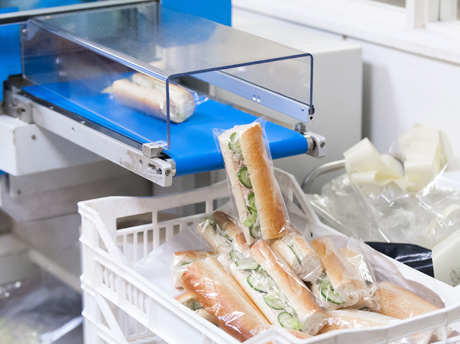 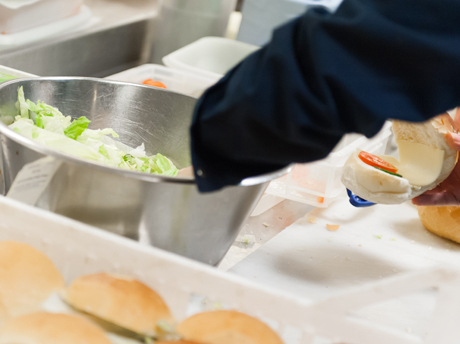 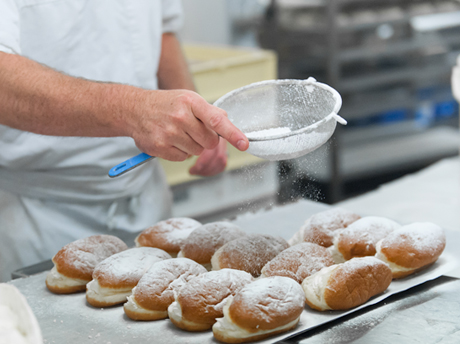 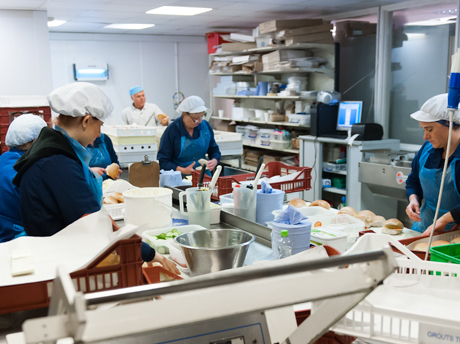 Our bakers produce a huge variety of fresh breads, seeded rolls and baguettes all of which our team use for the filled sandwiches & rolls we serve in our shops. 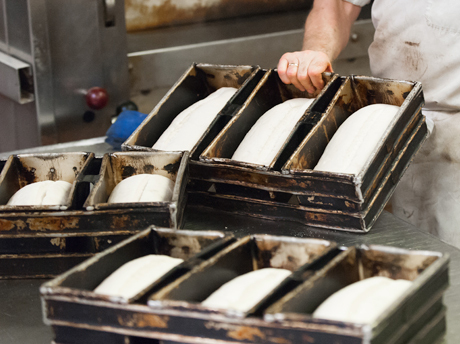 Some of our team have been with us for over 30 years, their dedication and passion is one of the main reasons our products taste so good. 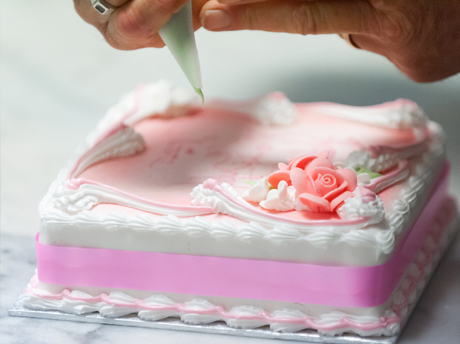 All our celebration cakes are made to order from our main bakery, hand iced, expertly decorated and made to individual customer requirements. 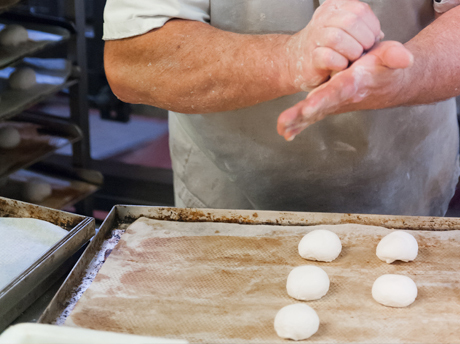 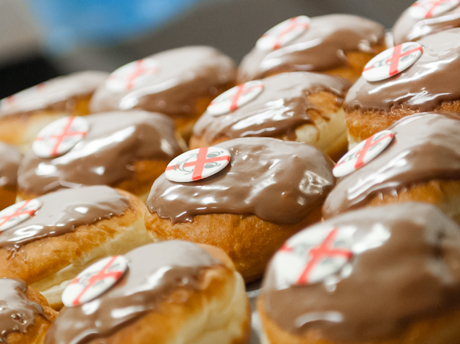 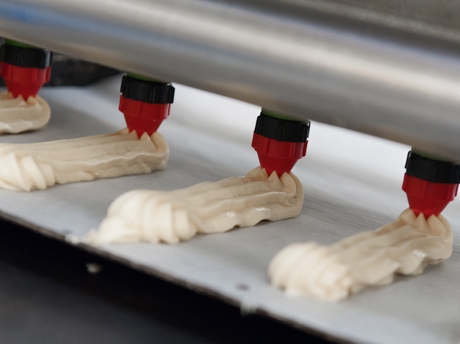 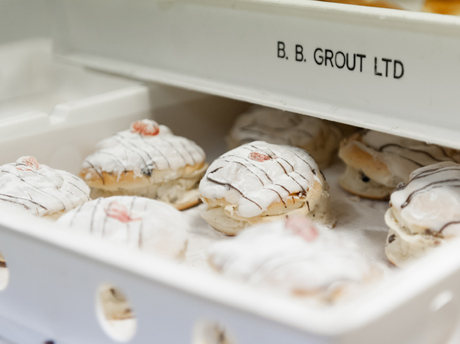 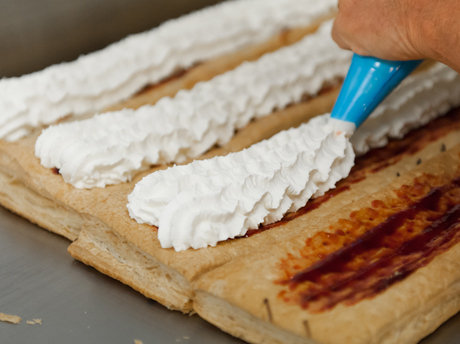 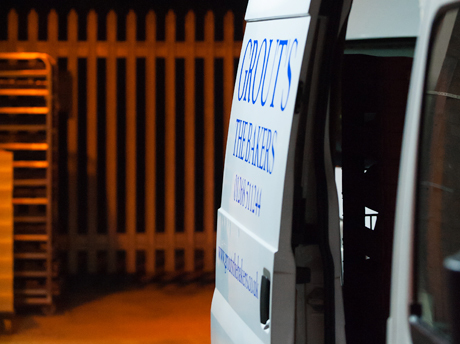 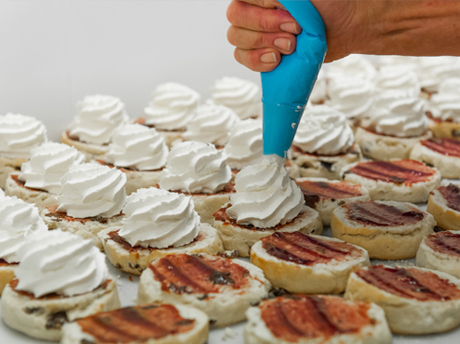 Making a variety of fresh bread, cakes, pastries and savoury items, our 70 years of baking expertise has helped establish the Grout’s brand as a leading bakery throughout Essex and we plan to continue to do so for many generations to come.